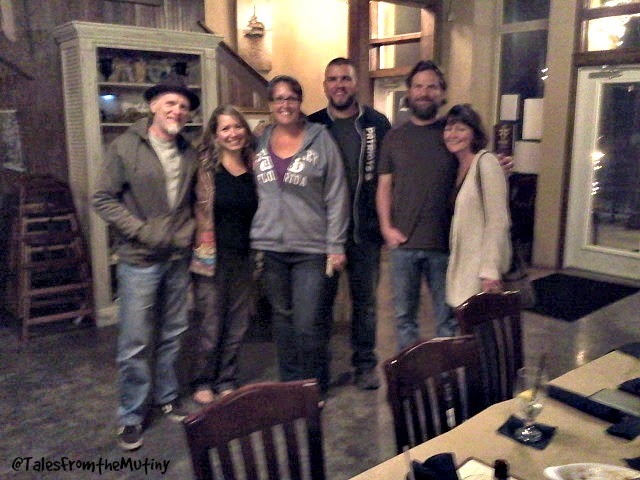 Back when we were in Cedar Key, Florida we became part of a small pilot group for a new social media website geared toward RVers. That website, RVillage, now has over 12,000 members and continues to grow as word spreads. One of the key features I love about RVillage is the “explore” button. It allows members to pull up a map and find friends who might be camping nearby (or to find other members camping in the very same campground as you). It’s helped us track down fellow nomads we’ve been stalking following via blogs and Facebook, reconnect with friends we’ve met throughout our travels and even make brand new friends simply because we’ve “checked-in” to our campground. So, it was thanks to RVillage that we decided to stay at Bay Hide Away RV Park in Bay St. Louis, Mississippi to spend a few days with our friends Robin and Jeremy of Live, Breathe, Move. We’d met Robin and Jeremy in Cedar Key but they were only there for a few days and we really wanted to get to know them better so we jumped at the opportunity to stay at the same RV park. 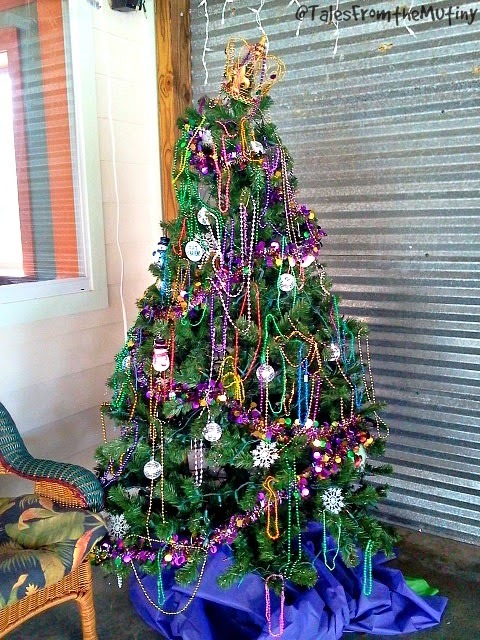 The Mardi Gras tree in the clubhouse. Bay St. Louis is a small town on the Gulf of Mexico. Although I’d never heard of it I’ve since learned that it has been consistently ranked as one of the best American small towns for the past few years (by Coastal Living, Budget Travel and Virtual Travel). And it’s no wonder…it’s got a beach, a casino, Second Saturday art walk (and lots of local artists), a cool cafe, old bars and historic buildings. And it’s very much a part of the Mardi Gras culture of New Orleans (many Gulf town are actually) so it has a very festive air about it. 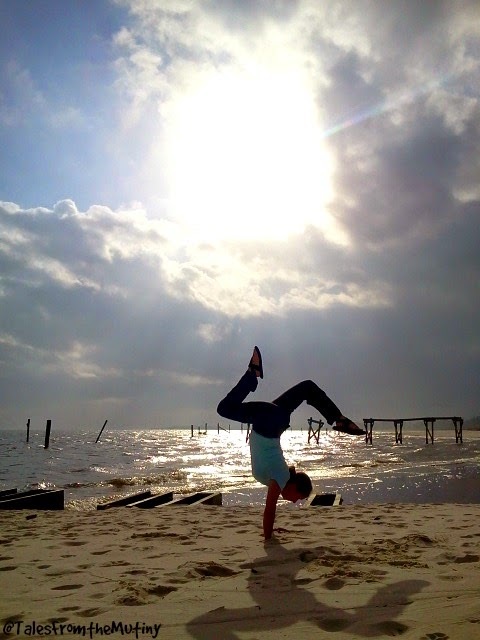 Even though the weather wasn’t cooperating with us (lots of rain) we were able to take advantage of a few somewhat sunny days to explore the beach and town. 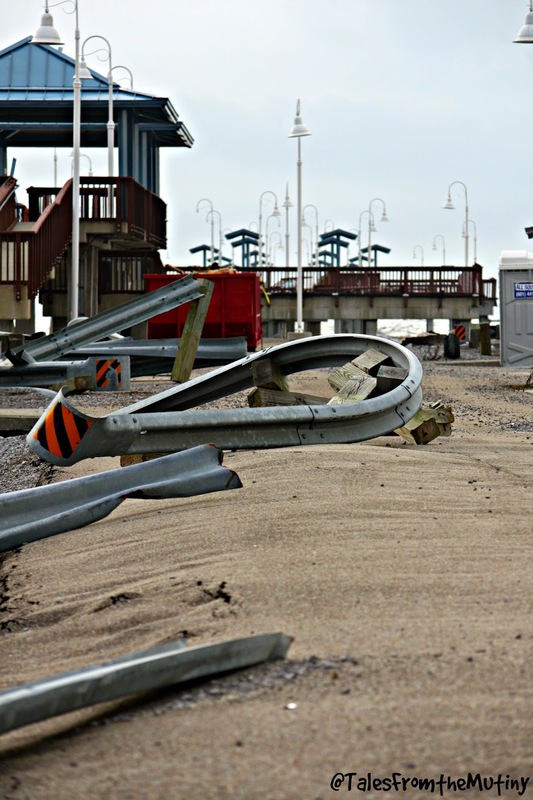 Hurricane Katrina actually touched the shore here in 2005 talking with it the lives of a some die-hard locals who refused to leave and many historic buildings and homes. There are some incredible before and after images available online of the destruction (see here, here and here)…yet even 9 years later, during our visit, we saw remnants of the devastation including bare foundations and twisted metal. But the people of Bay St. Louis and the surrounding areas are resilient and Old Town’s Mockingbird Cafe exemplifies the fighting spirit. Opened in 2005 to feed relief workers and clean up volunteers Mockingbird has become a favorite for both locals and tourists. It’s got a great vibe and offers a wonderful gathering spot for book clubs, yoga fanatics (there’s a studio right upstairs), loners and free wifi seekers. Besides offering good food and coffee, the cafe is a live music venue, hosts an open mic night and serves locally brewed beer and a Happy Hour. Robin and I enjoyed a nice after-yoga breakfast together and really loved the atmosphere. 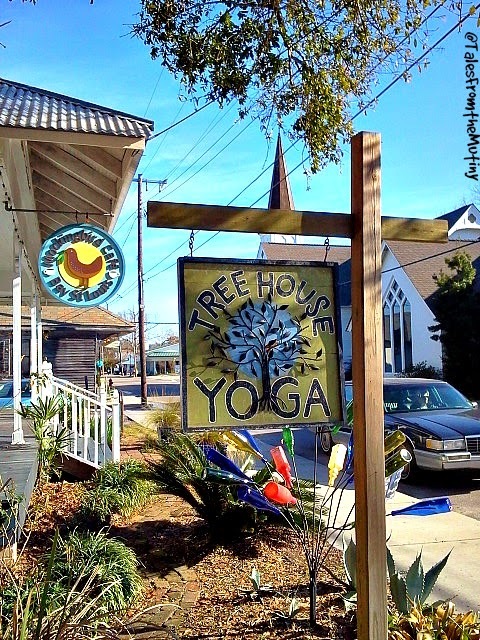 Mockingbird Cafe and Tree House Yoga. 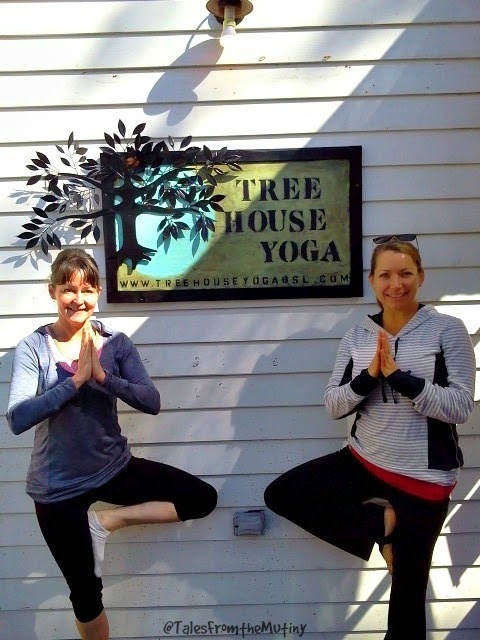 Robin and me after a great yoga class. Clark, Lynn, Meagan, Jesse, Jeremy and Robin. 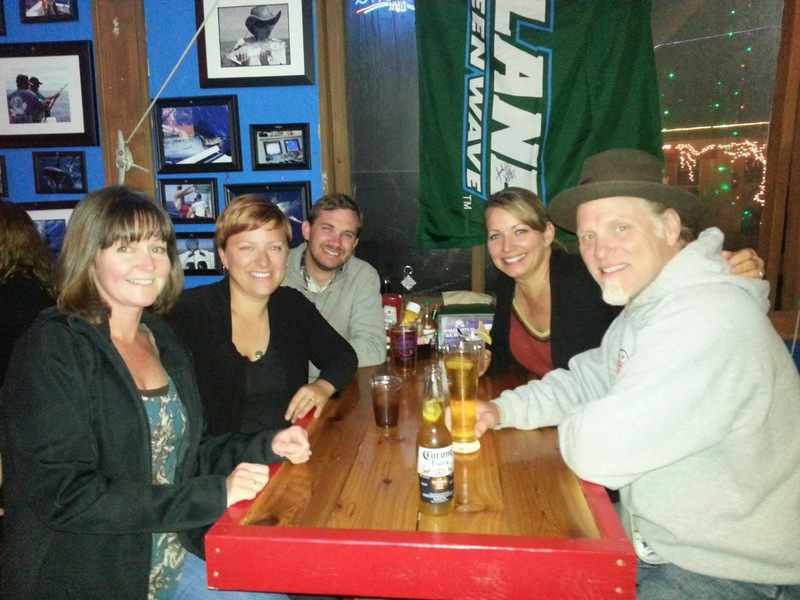 Robin, Kristin, Jason, Lynn and Clark…the Cedar Key Krewe back together again! It was a nice stop over that gave us a chance to spend some quality time with new friends and get into the Mardi Gras spirit. 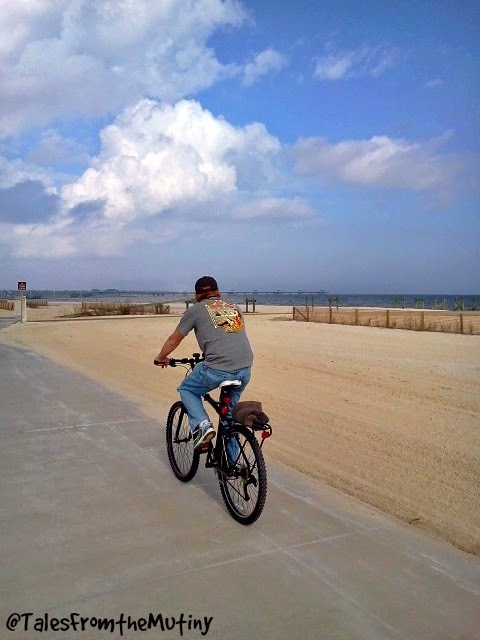 Bay St. Louis is a little gem of town and a great place to put on your radar should you find yourself passing through the gulf coast. This post was a nostalgic walk down memory lane for me. Even though we had traveled on ahead and were making our way towards Texas while you were in New Orleans, it was great to see some of our favorite people from our first year on the road spend time together.